European Union research has confirmed what has been wreaking havoc on olive trees in Italy and France – and points to a possible solution. For the past two years, Europe’s olive groves have been battling ferocious invaders – pathogens that have destroyed thousands of olive trees in Italy and France. But this week, new findings have kindled hope that the EU can turn the tide in the olive battle. The European Food Safety Authority (EFSA), based in the Italian city of Parma, announced Tuesday (30.04.2016) that it has finally confirmed the culprit. The bacterium Xylella fastidiosa is likely being transmitted via meadow froghoppers, an insect common to the affected areas. The findings also contained two items of good news for the fight against the pathogen. Although Xylella has been known to also affect other commercially important crops – such as citrus, grapevines and stone-fruit – this particular strain does not appear to be affecting them. This will calm fears of the disease spreading to other crops. Perhaps more importantly, the research also suggests that some varieties of olive trees are resistant to the pathogen. If the finding can be confirmed by more testing, farmers could begin planting these types of trees. This news is, however, of limited use considering that olive trees can take up to 20 years to produce fruit. “The results from this project significantly reduce the uncertainties surrounding the risks connected to [this strain] for the EU territory and will help in the planning of future research,” said Giuseppe Stancanelli, head of EFSA’s Animal and Plant Health Unit. 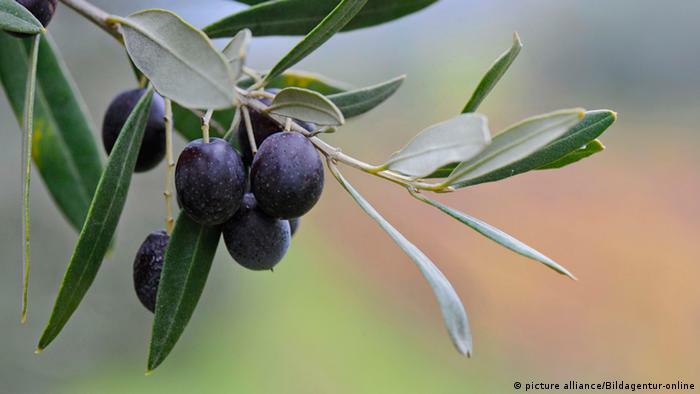 “Subsequent field and laboratory experiments will have to further explore the responses of Mediterranean olive, with the aim of identifying tolerant or resistant varieties that can be grown by farmers in the areas affected,” Stancanelli told DW. The problem was first detected in the Italian region of Puglia in 2013. Italian authorities destroyed hundreds of trees – some of them ancient – to prevent the disease from spreading. This has angered olive farmers, due to their dependency on mature trees. In 2015, the infection was found to have spread to the southern French coast and the island of Corsica. 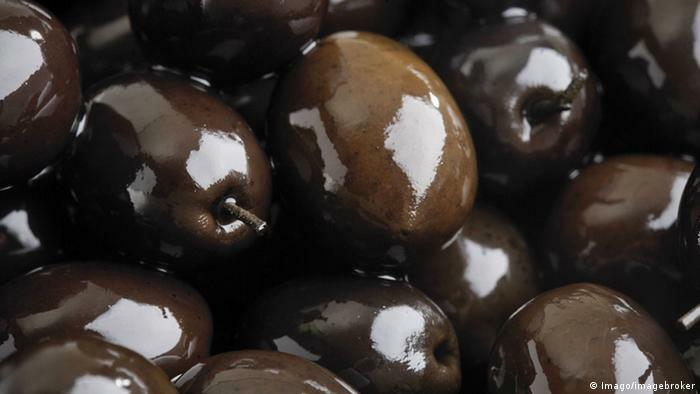 There have been fears that it will spread to the important olive-growing region of Andalusia in Spain, but so far the pathogen has not been detected there. The EU is the largest producer (73 percent) and consumer (66 percent) of olive oil in the world. The outbreak is estimated to have caused a 20 percent increase in olive oil prices worldwide last year. The European Commission began research after the pathogen was initially identified in France, dedicating 7 million euros from the EU Horizon 2020 program to find out what was causing the outbreak. Copa-Cogeca, a Brussels-based farmers’ association, welcomed the development. But the group is calling for more funding to help the sector. “This is a very serious disease, and research needs to be stepped up to eradicate it,” said Amanda Cheesley, a spokesperson for the group. The association wants the commission to analyze social costs in terms of job losses, economic consequences and environmental repercussions, and award compensation through the EU’s Common Agricultural Policy. Xylella fastidiosabacterium causes plants to display symptoms such as scorching and wilting of its foliage before dying. It acts on vessels to hinder the transport of water and nutrients within a plant.